Rosaura Garcia-Murillo returns to Mexico without her granddaughter. She went out into the corridor with her lawyer, Curtis G. White. “Is it good or bad?” she asked White of the judge’s decision. Garcia-Murillo doesn’t speak English and hadn’t understood a word of the proceedings she had just witnessed. “I have very bad news,” he said. Garcia-Murillo’s last-ditch attempt to forestall an American family from adopting her granddaughter had failed. The only reason the grandmother was present for the hearing was by chance. She has fought for the past two years to take the now almost 2-year-old child home to Mexico to grow up with her blood relatives. Lawyer White had called the Farmington juvenile court several days before to check on Galilea’s next court review. That hearing had been set by Judge J. Mark Andrus for July 9. 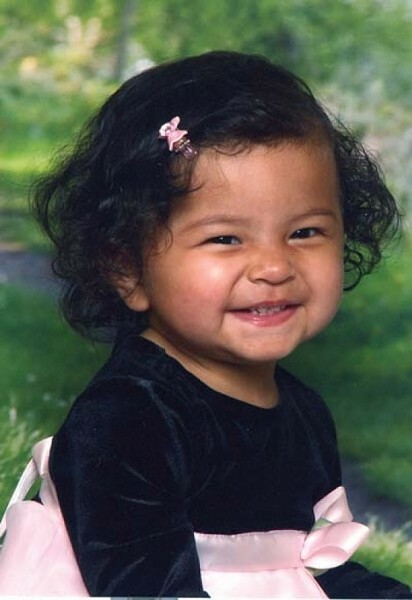 But on April 29, City Weekly had published the feature, “Gone, Baby, Gone,” which detailed Garcia-Murillo’s custody fight for her granddaughter. It revealed a series of troubling actions and decisions by the state Division of Child and Family Services and the courts that handled the case. One week following publication, the court held what Galilea’s state-appointed lawyer, guardian ad litem Laina Arras, called “an early hearing” on the child’s future. Galilea was placed with a foster-adopt family after her biological parents were arrested for dealing drugs and child endangerment. Her mother, Yadira Medina-Garcia, was subsequently deported, while her father was sentenced to one to 15 years in prison. The child has been raised all but 15 days of her life by foster family Jennifer and Aaron Hess in Bountiful. White’s motion challenged a number of assumptions in Judge Andrus’ late January 2009 ruling against the grandmother, one being that removing the child from her foster family of two years and relocating her to Mexico to live with her grandmother would damage the child. White also criticized a ruling by a previous judge on the case, now-retired Diane Wilkins, that Galilea should remain in the United States rather than go to Mexico to live with her grandmother. White’s arguments failed to sway the judge, however, who denied White’s motion, saying “nothing new has been discovered.” If there is a defect in Utah law—regarding the state not having an agreement with Mexico over international child placement—it was a legislative rather than a legal issue, the judge said. Rosaura Garcia-Murillo had an appointment that same afternoon to see Galilea. She couldn’t face it. “I don’t want to suffer anymore,” she said. Several weeks before, she had been advised by the government she had to leave the United States by May 13. She vowed to continue her fight from Mexico, she said. Galilea’s lawyer Arras did not return a call requesting confirmation on the baby’s forthcoming adoption by the Hesses. However, White says Arrus confirmed to him the adoption took place the day of the hearing. If the case had been handled correctly from the beginning, White says, “there’s very little doubt Galilea would be with the grandmother.” Instead, foster mom Jennifer Hess walked out of the court building towards her car, Galilea held tightly in her arms.